Recommend solutions to ensure a safe torsional system. Analysis with Wood’s DataMiner™ tool yields advanced analytics and design sensitivity. 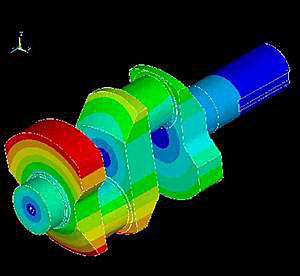 Torsional Vibration Analysis integrated with the Pulsation and Mechanical Vibration Analysis ensures superior study results. Determination of risks due to lateral frame forces caused by torsional responses in reciprocating compressors and integration with Wood’s Mechanical Vibration Analysis results in lower probability of vibration. Excessive torsional vibration and resonance leads to damaged crankshafts, couplings, gears, auxiliary equipment, and more. Examples of damaged couplings and shafts are shown below. 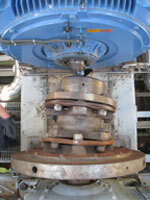 Repair costs to such equipment can easily exceed $1,000,000 in parts, labor, and downtime. Over 80% of all torsional systems we analyze require system modification during the design stage to reduce the risk of failures. Torsional vibration will vary depending on the system’s characteristics and the specific operating conditions (torque effort curve). Any changes to these factors can result in excessive torsional vibration. For more information, training or support, contact Wood. Any change in compressor configuration (different cylinders) or significant changes in operating conditions (pressures, cylinder loading). Note: a field assessment is recommended to confirm torsional vibration and dynamic stresses. The following scope is standard in Wood’s torsional studies. The scope is compliant to API studies, including but not limited to 610, 613, 618, 671, and 684. 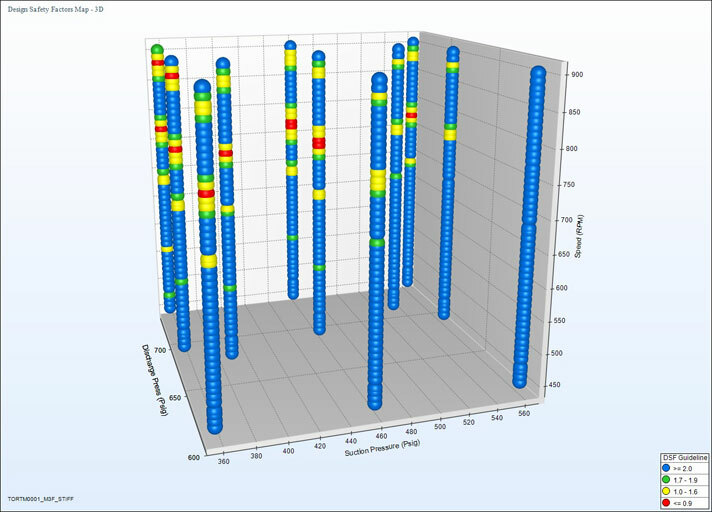 DataMiner™ – a unique analysis tool to view the overall results in many different ways (e.g., Motor Shaft Design Safety Factor). 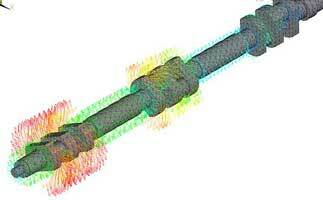 This tool allows the customer to evaluate the vibration risks across all of the analyzed operating conditions. RED indicates areas that must be avoided, or else failure will occur. YELLOW indicates areas that are marginal and should be avoided. Each circle is a unique combination of operating condition and speed analyzed in the study. DataMiner is a proprietary feature for Wood’s clients. Balance Analysis – the unbalanced forces and moments for a reciprocating unit are calculated. Recommendations will be made to change balance weights if necessary. Comprehensive evaluation of the entire range of operating conditions plus upset conditions – not just the assumed "worst case." This improves system reliability and avoids the chance of design errors. Wood’s tolerance band analysis improves accuracy and minimizes risk. 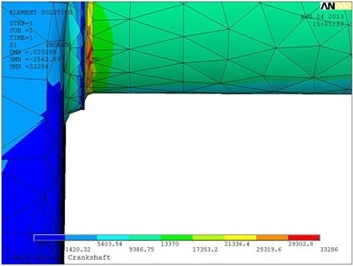 This technology evaluates the risk and design impact due to the tolerances of key input parameters. Wood’s approach reduces the risk of failures and avoids unnecessarily expensive torsional solutions. Wood has an extensive database of engine, motor, compressor and coupling information – resulting in faster and more accurate analysis. Our system approach focuses on the entire package including engine, driver, coupling, etc. This approach is more comprehensive and accurate compared to services that focus primarily on the engine (or compressor). Full service including integrated design of torsional, pulsation, and mechanical systems. This enables effective solution to torsional/lateral excitation, coordination between pulsation changes and torsional impacts. Proprietary software tools for more accurate, faster, and advanced features (Torsan™, RCA™, and DataMiner™). Technical review for improved quality control. Industry leading technical experts are involved on your project to avoid problems or errors. Dedicated torsional support team that can provide fast, efficient, and high quality designs. Field engineers can support you globally to provide onsite testing and verification of torsional vibration and stress.